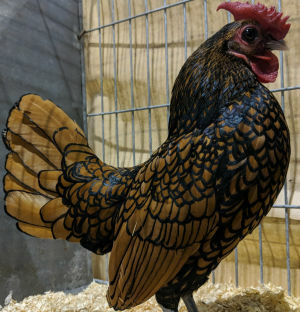 Are Bantams good with gardens? 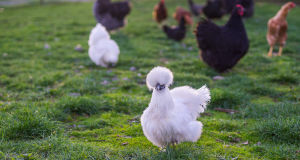 Will Bantam chickens ruin your garden like their large cousins will do? 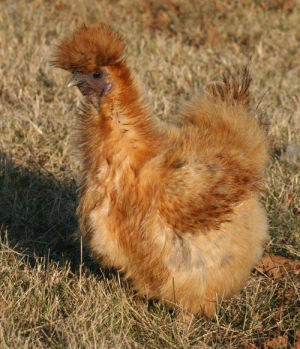 All chickens scratch and dust bathe and bantam sized chickens are no different to their large fowl cousins when it comes to their ability to make a mess of your backyard garden. 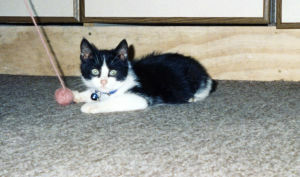 They are however smaller and tend to do less damage than large fowl. It also depends on the layout, plan and purpose of your backyard garden and how much freedom you give your birds. Below: All chickens love to roam free and scratch and a confined space like a garden will suffer. If you have a carefully manicured garden with lots of flowers and low plants then expect carnage. On the other hand if your backyard is all trees and shrubs then all is likely to be fine. 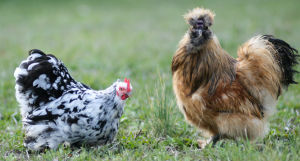 Are bantams good for eating bugs in the garden? Your bantams will do a good job at eating the bugs from your garden. Free range chickens will happily spend all day hunting down bugs in their run and will eat as many as they find. 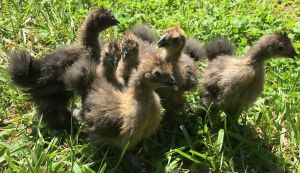 I have a dozen Silkies free ranging in my garden all day in the summer and I have no bugs on anything and they have not damaged one leaf but then I only have shrubs and no dainty flowers. Will they eat the vegetables and herbs I grow in my garden? Yes, they will help themselves to whatever they fancy if they can reach it. They tend to leave the bigger stuff alone like full grown cauliflower or broccoli plants. Herbs are good for them and make the eggs better so plant lots extra and enjoy better eggs. I am completely organic so I am not worried about them consuming any herbicides or pesticides. Remember slug pellets are poisonous. 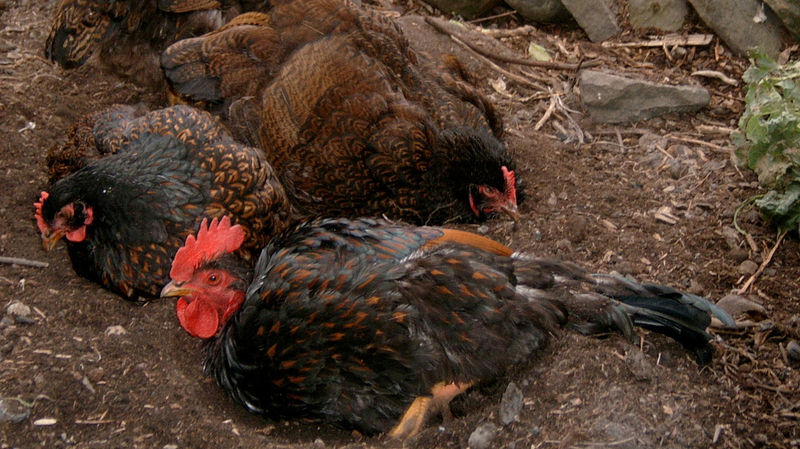 How can you improve your backyard garden for your chickens? Plant herbs and sprout seeds especially for them to eat. This will also help keep them off the growing areas. They'll also do quite a number on anything you might be trying to grow. I would fence off anything you don't want them to eat. I put up four posts and chicken wire to keep my girls out of my veg garden it is very effective. It need to be quite high, at least 4 foot. One of the things I do is open up the garden gate once every few days and let the girls inside to go after bugs while I am supervising. They always go for proteins first but as soon as they start nibbling at leaves and flowers, it was time to come out of the garden and back out into the field. I have not had a single bug problem in my garden since the day I started letting the ducks and chickens be in charge of bug control. Or you could just give up on the garden completely and just enjoy the chickens. my feeling is that chicken wire is better used to keep chickens out of the garden rather than to keep them in or protect them. I always prefer free range.